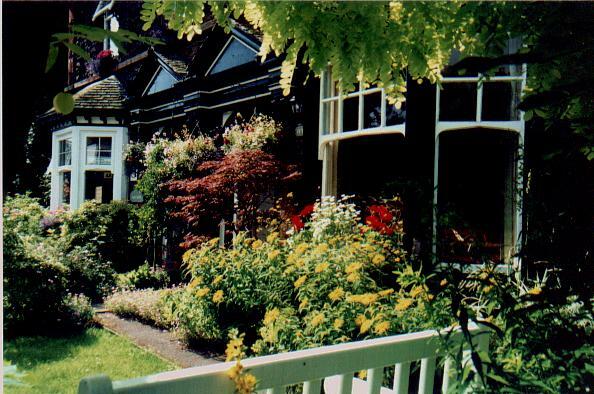 Windermere Bed and Breakfasts. Compare latest rates and Live availability for all your favourite places and places you have always wanted to go using our new My Shortlist feature. Click + to add to your Shortlist. Bed and Breakfasts in Windermere, Cumbria for 1 night from Wed Apr 24, 2019 to Thu Apr 25, 2019 within 10 miles, in an Average Nightly price range of £1 to £200. Welcome to the Elleray where you can eat drink sleep in comfortable friendly surroundings. We have kept that traditional pub feel but with a modern twist. Enjoy the surroundings sat in front of our real fire. Join in our regular quiz night or sit back and enjoy some live music. Taste our real home cooking using locally sourced ingrediants in our cosy restaurant.Then fall upstairs into one of our luxurious rooms. br / br / br / br / We are situated in the heart of the village of Windermere with great access to all the major attractions as well as the local amenities that lake Windermere has to offer. We are close to all the local transport links making it easy to explore the lake district national park. Orrest head (Wainright s first fell!) is just a stones throw away where you can get some of the best views of Lake Windermere. Green Gables Guest House is a three star accredited family owned and run guest house in Windermere in the heart of the Lake District. We offer excellent value bed and breakfast holiday accommodation in a welcoming environment. br / br / br / br / Green Gables is ideally placed for visiting all the attractions the Lake District has to offer including Hawkshead Kendal Grasmere and the Beatrix Potter Museum. The guest house is also conveniently located about five minutes from the train station. br / br / br / br / We have a selection of Family Twin Doubles and Single rooms available. All are very well presented and well equipped with TV and tea and coffee making facilities. In the mornings guest can enjoy a freshly prepared breakfast in the spacious dining room. br / br / br / br / Secure cycle storage is available and walkers are also welcome there is parking is available across the road. br / br / br / br / This welcoming bed and breakfast accommodation sees many guests return year after year and we aim to help to make your visit to Windermere and the Lake District as special as possible. If you are with us for one night or a weekend break we will work hard to make sure you feel right at home in our welcoming B&B. We offer information on a wide range of pubs restaurants attractions and activities across Cumbria. We can even help visitors plan their stay well in advance of their visit. The 5-star Beaumont House is a Victorian property featuring many original features with a tranquil location, just metres from the heart of Windermere. It offers delicious cooked breakfasts, free Wi-Fi and free private parking, less than 10 minutes' walk away from Windermere Railway Station. All of the en suite rooms at the friendly Beaumont guest house have tea and coffee facilities and Freeview TV. Each room also features either a power shower or whirlpool bath. Breakfast options include fish of the day and traditional cooked Cumbrian breakfasts, made with local produce. The family-run guest house has a lounge with sofas, books, magazines and an honesty bar. The surrounding Lake District National Park has a variety of scenic walks and picturesque sights to enjoy. Overlooking Ellerthwaite Square and on the edge of Windermere village is the wonderful Rayrigg Villa Guest House. Dating from 1873 (a date engraved on a plaque in the middle first floor window) the house was built as the home of a prosperous corn merchant and though the house has been refurbished it has lost none of its original grandeur. br / br / br / br / Rayrigg Villa has 7 guest bedrooms all with colour Televisions Free WiFi hairdryers hospitality tray and bathroom toiletries. br / br / br / br / Rayrigg Villa Guest house is a four star graded detached Victorian property on the edge of Windermere village with shops restaurants pubs all within 2 minutes walk. Rayrigg Villa overlooks Ellerthwaite Square and the azalea and rhododendron bushes of Library Gardens. One mile along New Road is the bustling village of Bowness and the bay where a variety of launches and steamers ply for cruises on Lake Windermere England s largest lake. The world of Beatrix Potter the Windermere Steam Boat museum and many other attractions are close at hand and there are numerous local walks to picnic sites and view points. br / br / br / br / Private car parking is off the road at the rear of the house - drive through the white gates on the right hand side. Close by are a bus stop and taxis so you can have a break from driving and enjoy the lovely scenery. Beckmead House is ideally situated just five minutes walk from the centre of Windermere village. We are a family run guest house with quality accommodation and a relaxed friendly atmosphere. br / br / br / br / Windermere is situated in the heart of England s beautiful Lake District it is an ideal base from which to plan your holiday. If you love the outdoors there are countless walks amidst beautiful scenery boating on a number of lakes horse riding cycling golf and much more. br / br / For the younger members of the family you will find South Lakes Wildlife Park The World of Beatrix Potter and The Aquarium of the Lakes. br / br / br / br / There are stately homes and gardens to visit and villages to explore. br / br / br / br / South Lakeland has a wealth of famous and historical characters William Wordsworth Beatrix Potter and John Ruskin to name but a few. They leave behind such famous properties as Dove Cottage Hill Top and Brantwood. br / br / br / br / In Windermere Bowness and surrounding district you will find many restaurants and pubs serving an excellent choice of food from Cumbrian fayre to international cuisine. Welcome to The Hideaway a Windermere boutique hotel. The Hideaway is the most peaceful of all the luxury Windermere hotels. Relaxed and welcoming with a true passion to spoiling and indulging of all the hotels in Windermere we are the only ones who offer complimentary Tea and Homemade cakes as part of your room rate as well as our deliciously freshly prepared Lakeland breakfast. All rooms are for double occupancy only we do not offer additional beds or family rooms. Exclusively for adults and completely non-smoking our boutique hotel in Windermere offers exceptional service & delicious food in relaxed stylish surroundings. Free Wi-Fi and car park are available to all guests. With no passing traffic our boutique hotel offers free onsite parking and we are unique in being able to offer a peaceful and tranquil haven in a central location. We are only 5 minutes walk to Windermere Village 20 minutes walk to Bowness & Lake Windermere and a 10-minute drive to Ambleside. The perfect base to explore this beautiful area. Set in the magnificent Lake District and just a short walk from Lake Windermere the Howbeck bed and breakfast is offering you comfort and luxury. All our rooms are beautifully decorated and have a modern original bathroom and of course free Wi-Fi. The Howbeck is only minutes walk from the main village shops good restaurants & a 15 minute stroll from Bowness on Windermere and Lake Windermere we are also a hop skip & jump from the many scenic trails the area is known for. Our aim is to give you the best break/holiday so If you are coming away for a special anniversary or occasion we would love to hear about it so we can help make your stay even more special we have superior en suite rooms luxury spa rooms and suites free parking & free spa and leisure are also available near by. Small Boutique Hotel in Windermere offering Bed and Breakfast or half board accommodation in the heart of the Lake District. The perfect place to stay for a relaxing weekend break or romantic getaway. The Hotel offers exceptional service and a warm welcome from the minute you arrive. Situated halfway between Windermere Village and Bowness the hotel is ideally located with the lake and local attractions close by. The Glenburn has a relaxing lounge area with a Bar and our very own restaurant. Why not come dine with us and enjoy delicious food made from the very best locally sourced produce from Cumbria. The Hotel has 16 stylish en suite rooms furnished to a high standard. Smart and contemporary with a traditional feel. They are a variety of sleeping arrangements from single double twin or triple rooms with the option of Classic Superior or Deluxe rooms of which some have four poster beds. We do not accept children under the age of 5. In Windermere just a short stroll from the lake and Bowness Woodlands offers free Wi-Fi free parking and luxurious 5-star accommodation in boutique-style rooms. In the heart of the beautiful Lake District Woodlands is just a short walk from Lake Windermere and the shops bars and cafes of Bowness. The World of Beatrix Potter is just 15 minutes away and Windermere Golf Club is a 5 minute drive. All of the stylish en suite rooms feature designer beds LCD flat-screen TVs and luxurious toiletries from the White Company. Some rooms have four-poster beds. A full English breakfast is served each morning and includes fresh local produce. The bar serves a range of drinks including freshly ground Italian coffee and organic wine. Gillian and Brian Womersley welcome you to to the beautiful English lake District and Lindisfarne House an attractive traditional detached Lakeland stone house built in 1881. This family-run Lake District accommodation has an indoor swimming pool, sauna, steam room, picturesque gardens and free parking. Free WiFi is available in the downstairs public areas and the bedrooms. Hillthwaite has an elevated position and a terrace with stunning views towards Lake Windermere and the mountains beyond. Some rooms also have views towards the lake and mountains. There is also a guest lounge with a log fire and lake views. The Poets Bar and Grill offers high-quality local produce and homemade dishes. Advance dinner reservations at Hillthwaite can be made. A full English or Continental breakfast is provided each morning. The property is just a 15-minute walk from The World of Beatrix Potter and 15.1 km from Dove Cottage, the original home of William Wordsworth. At over 10 miles long, one mile wide and 220ft deep, Windermere is the longest natural lake in England. Thousands of visitors flock here each year to enjoy the fantastic views and to take part in the many activities on offer, from water sports to walks and sightseeing. The lake is surrounded by pockets of history. Waterhead was originally the Roman town of Galava; the hotels around Lake Windermere are former homes to late 19th Century wealthy businessmen and Beatrix Potter had a holiday home here. Windermere also provided the settings for much of Arthur Ransome's classic Swallows and Amazons series of children's books. These days you could visit Bowness-on-Windermere for watersports, the Victorian town of Ambleside, or indeed any number of attractions around the shores of this beautiful lake. Most of Windermere is owned by the National Trust.